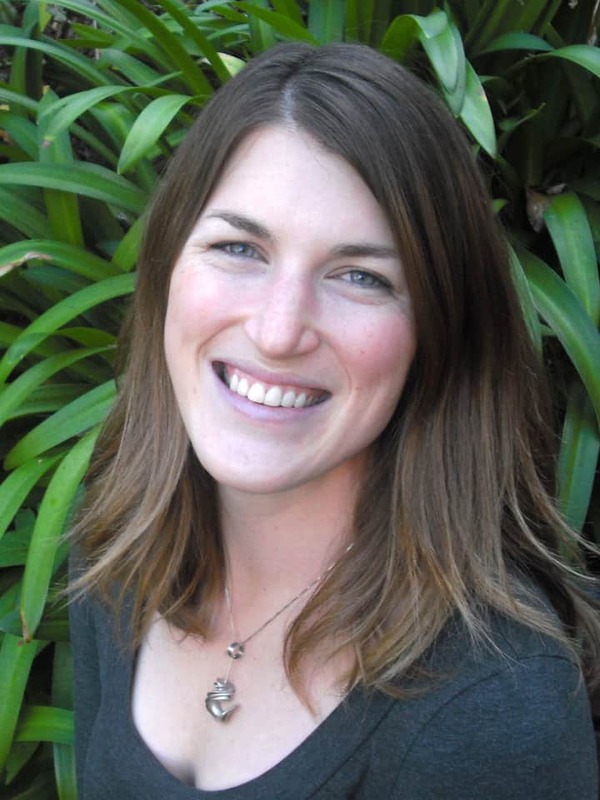 Katy Orr from Reno, Nevada, was one of ten American graduate students who received Fulbright awards to study or research in New Zealand last year. Alongside her research into the deposition of polycyclic hydrocarbons in Arthur’s Pass National Park, conducted at the University of Otago, Katy involved herself in some rewarding local science outreach initiatives. My Fulbright research began on a warm March day in the Waimakariri valley, fervently (but oh so carefully!) collecting bunches of lichen off matagouri bushes as rain clouds approached. An adventure in a pristine national park of New Zealand was a great way to start my environmental chemistry research project. My research parameters are simple; I am looking at the long-range transport of the contaminants produced by car emissions up valleys near a highway. Arthur’s Pass National Park has three valleys that extend perpendicularly off of State Highway 73. Knowing that lichen acts as a sponge for contaminants, my advisor Dr Kim Hageman suggested that I collect samples at 1km intervals up each valley for analysis in her lab at the University of Otago. 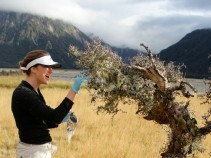 The months that followed those few awesome days of tramping with Kim and my lab-mate, Cleo Davie-Martin, were occupied with extracting contaminants from the lichen samples. To break up the lab work I became involved in the university’s Chemistry Outreach Programme directed by Dr Dave Warren, which supports the science curriculum of nearby schools. Over the four years that the programme has been running, more and more interest has been generated in the community. It was serendipitous timing that Waitahuna Primary School was looking for a few chemists to set up regular visits to their school and my lab-mate, Trudy Geoghegan, who had participated in outreach for three years, was ready to take the lead in such a partnership. It was an ideal collaboration: we are environmental chemists whose primary focus is environmental monitoring, and the participating students were 11 children who all lived on nearby farms. The children were all keen to explore the world around them and were thrilled to take on projects that revolved around environmental testing. On visits to the school every two weeks for a period of four months, we would make small steps towards teaching kids the fundamentals of scientific investigation. The plan was to guide these kids, who ranged in age from 8 to 11 years, to think up an original project, devise a way to test their hypothesis, plan a trip and learn methods for gathering their samples, extract and analyze their data and finally present their results to their parents and the larger Waitahuna community. Having never done this kind of thing before, we were all a little curious as to whether we would be asking too much of the kids. The university donated a water testing kit to Waitahuna School, with which we could test the temperature, pH, nitrate and phosphate content of water. After a few lessons about scientific method and fair testing, we were blown away by the kids’ ability to take on the challenge of testing the parameters of water. They definitely exceeded our expectations. The key to this whole concept was getting the children to come up with their own ideas of what they wanted to measure in the pastures around their communities. Their imaginations ran wild with possibilities, and during brainstorming sessions we helped each group formulate a testable hypothesis. One group in particular, lead by Cleo, named themselves “The Cow Pat Group” and were interested in the nitrate content of soil underneath, beside and near a cow patty. The students completed sampling, extraction, measurement and analysis (including graphing and statistics!) of the nitrogen content, pH level and temperature of samples. They did a great job with each of the steps and always greeted us enthusiastically, with “the scientists are here!”, when we arrived at the school for a lesson. Though only a few of these kids will pursue a career in science, they benefited from learning the scientific process as it should be experienced: a self-directed investigation of the natural world where the results are important and your work is taken seriously. Of course we had a little fun while we were at it. I have found in my time here in New Zealand that these types of programmes are easily instigated and enthusiastically accepted by the community. 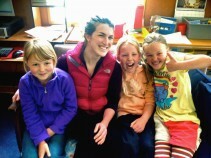 The Fulbright US Graduate Students in Otago spent four weeks teaching mini science lessons at Ravensbourne Primary School, a project conceived by Laura Bergner, who has a passion for science communication. I’ve been offered support from the university here to complete a PhD in Chemistry, and I feel like I have landed on my feet here in New Zealand. I have never felt so embraced by a community as I have in this short year. 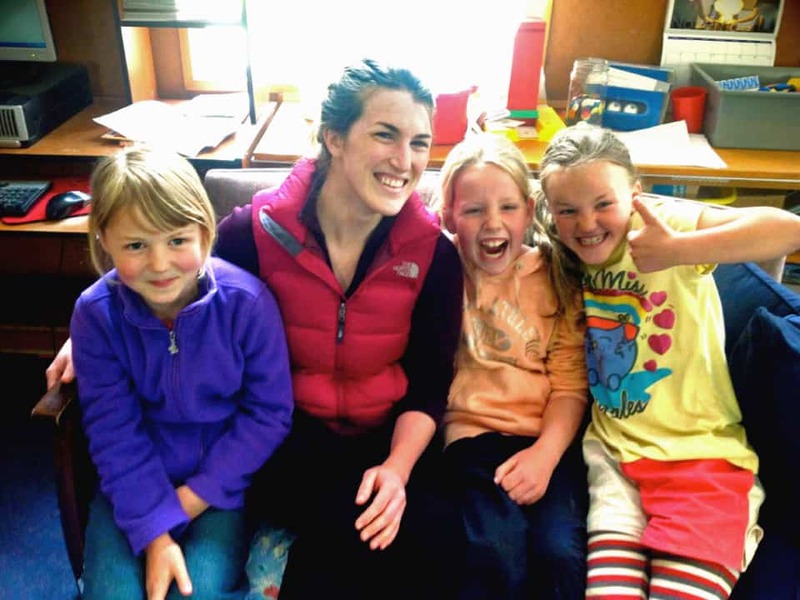 Just as my small role in the outreach programme has had a significant impact on the lives of the kids at Waitahuna, the people I have met here through my Fulbright scholarship have had a huge impact on my life’s direction. I would like to thank Fulbright New Zealand for their support and for giving me this incredible opportunity.